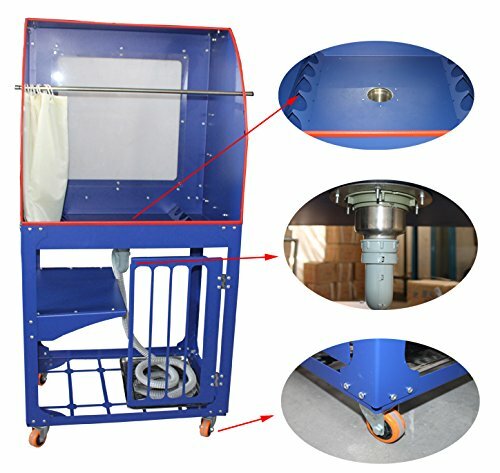 This machine adopt laser cutting and advanced electrostatic spraying process, anti-corrosion, anti color fade, easy clean, original color and surface perfection can be retained for long time, the body of press without corrosion under long term use. LED panel light adopt 5mm acrylic transparent plate, friction resistance , easy to clean. Packaging was made of export standard wooden case, foam board and plywood were stuff on each side of the carton for entire protection of the machine, all the metal parts was segregated by flexible foam, to avoid friction or crash, ensure the surface of each parts on the machine was integrity and without damage. You can put in any screen frame which side length is less than 29.5" (75cm); if the frame length is larger than 29.5" (75cm) but less than 37.4" (95cm), please slant-set the screen frame to wash. In front of the cabinet has a waterproof curtain, it could avoid water splashing out. Operater can also adjust the hanging height to meet different demand. Beside the shelf, there is a 23.2" (59cm) long , 14.5" (37cm) wide table-board. You can place some chemicals or accessory tools.